Ring in the New Year with a new look: It’s a Wig! L Part Lassie. Happy New Year from It’s a Wig! We hope that you are excited for what’s to come in 2014! With a new year comes many opportunities to learn and try new things, as well as reinvent your self and set new goals. Happy New Year from It’s a Wig! We hope that you are excited for what’s to come in 2014! With a new year comes many opportunities to learn and try new things, as well as reinvent your self and set new goals. Go from Work to a Night Out with It’s a Wig! Lace Front Wig, L Part Lassie in 2014. Some of my personal style resolutions for the new year include wearing more colorful outerwear, trying skinny high-heels, getting a sick nail- art manicure, and raiding my mom’s closet for vintage pieces. However, one of the goals at the top of my list is to experiment more with my hair color, style, and cut. When it comes to my hair, I’ve always played it safe. I stuck to styles that I knew would fit my face or complement . But hey, it’s 2014 now! I think it’s time I choose to take a hair styling risk and switch it up! 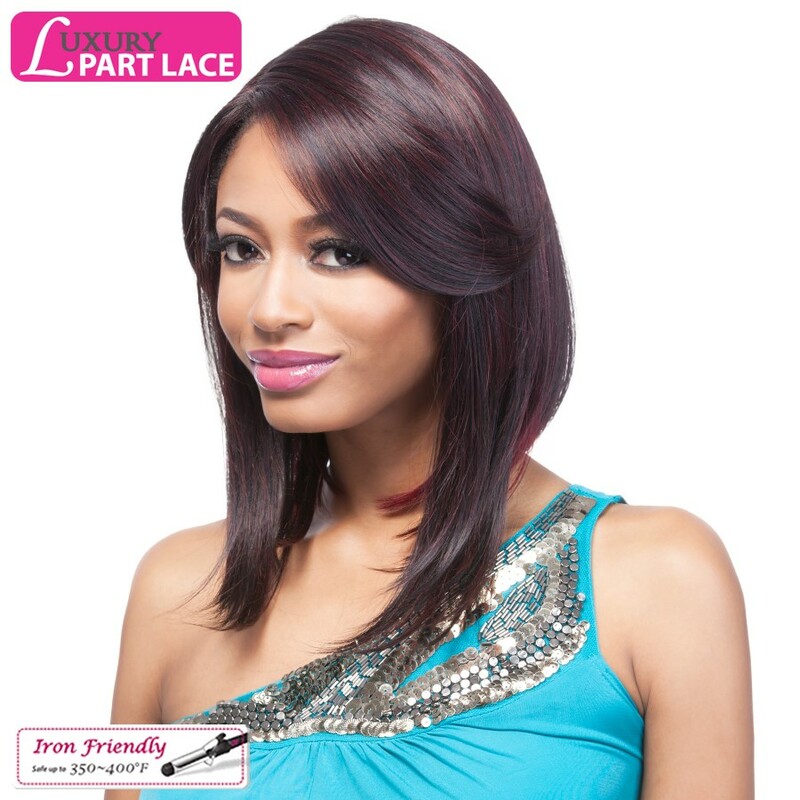 L Part Lace is the best of the best among part lace wigs. It is a lace front wig with "my own part", which is called a " luxury part lace" The part section is lace, and the front headline is also lace. What's so great about L Part Lace Lassie is that you can easily go from work to a night out without changing your hair style. 1. The style/cut and color options were hot! I’ve never tried an asymmetrical wig before, so because asymmetrical is in this season and I loved the color options, I knew I needed to have L Part Lassie. 2. I’m new to lace front wigs. I’ve never worn a lace front before. I’ve always been a full wig or half wig girl. Because I’ve never worn a lace front wig before, I had to watch a few Youtube videos and read some online articles to understand how to properly install the unit. I chose using the glueless method, which works best for my lifestyle. By wearing this lace front glueless, I was able to take it off at night and properly store it and still care for my hair underneath. What I really loved about L Part Lassie is its versatility! You can choose to wear the wig with the l-part in tact (as I did), or you can split the part and bring out your own hair to really make it “ your own part”. I decided to keep the L-part intact so that it looked like the part was my own. Doesn’t it look so real? Best of all, I was able to wear this wig as part of both a daytime and nighttime look! 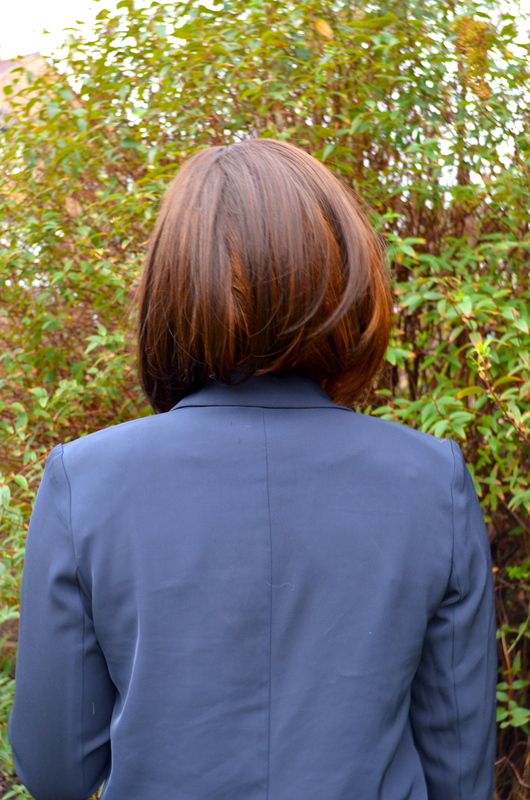 Business/ Daytime Although the wig has an asymmetrical cut, it still is very suitable with work or business attire. Here. 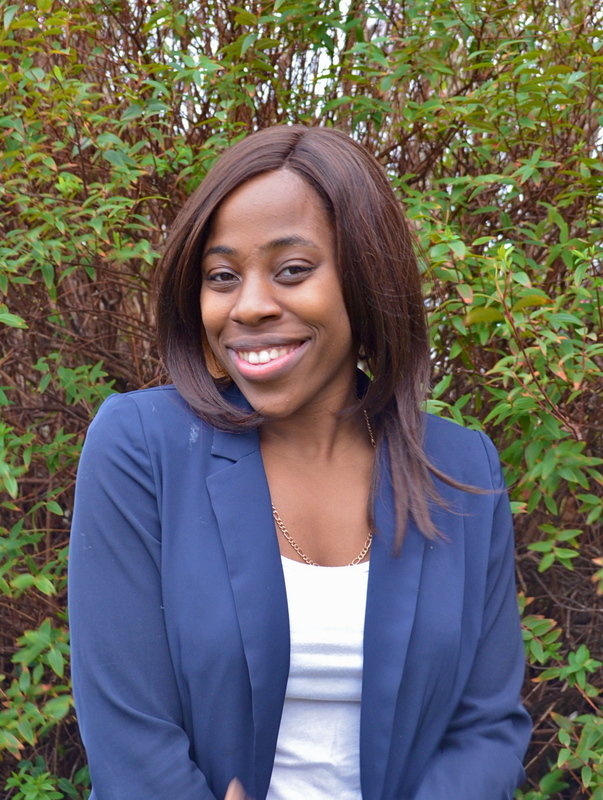 I wore a basic blue blazer over a simple white camisole. I liked how the wig gave my professional wear an edgy look. Classy with a hint of spice! Casual/ Nighttime Here, I paired the wig with a dark green sweater dress and leather bicycle jacket. I felt jazzy, stylish, and confident in this outfit. The two-toned color in the back really helped me stand out on the dance floor, which is what I like. The wig was very chic, but also gave off a bit of a daredevil/rebellious vibe. The beginning of 2014 is a great time to start experimenting with new styles of wigs. When you do, try mixing up the different types of looks you can create. You’ll be amazed by what you can create. 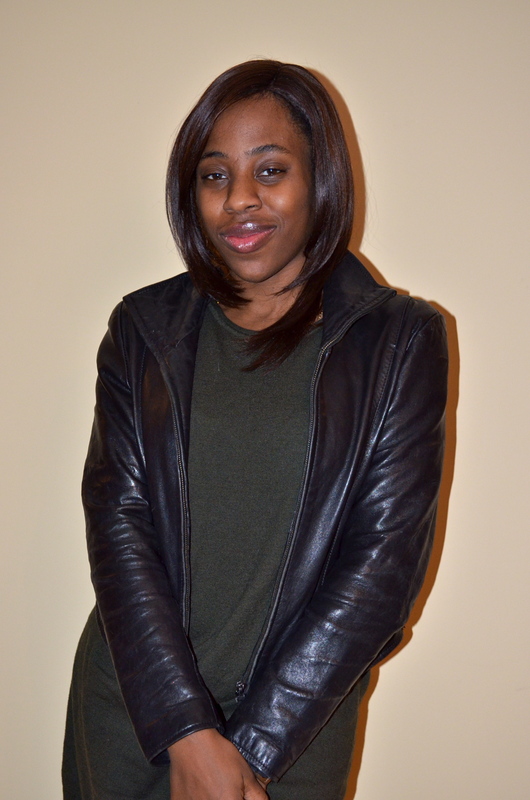 Send us pictures of you in your different looks by commenting on the It’s a Wig! Facebook Page or join the conversation on Twitter using the hashtag #itsawig.